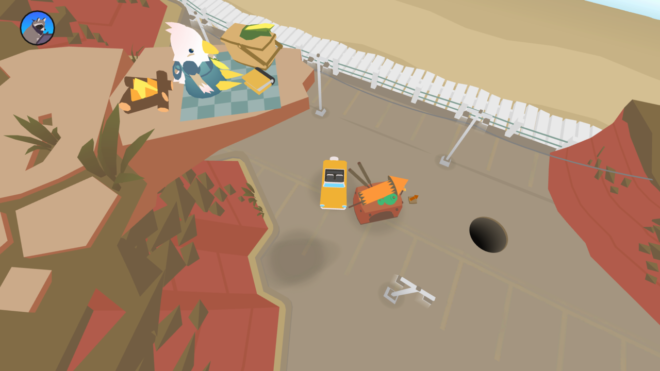 There’s a hole under Donut County. 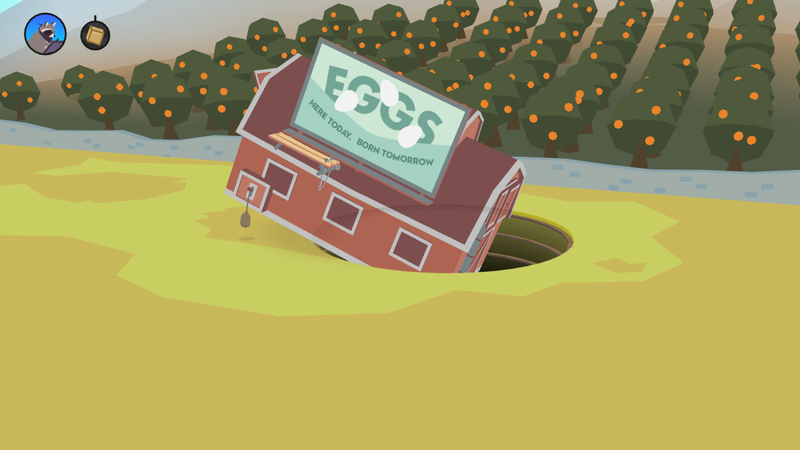 There’s a raccoon in a hole under Donut County. 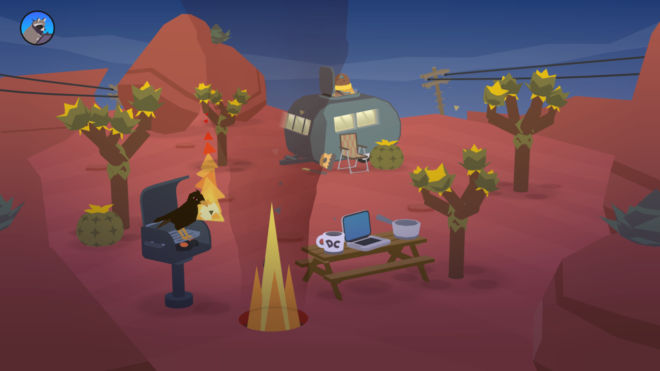 There’s a phone in the hands of a raccoon in a hole under Donut County. There’s an app controlling holes on a phone in the hands of a raccoon in a hole under Donut County. 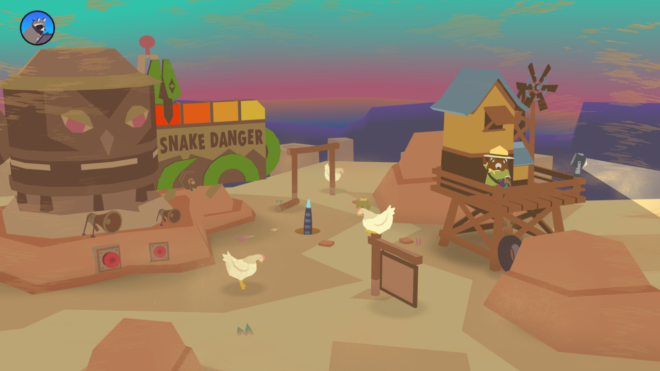 Donut holes – Donut County is about being a hole, proving that literally anything could make a fun video game character with enough ingenuity. Starting every level no bigger than a hole on a golf course, your goal is to become big enough to swallow people and their homes. All you have to do is slide around under anything small enough to fit into your maw, then have gravity do all the work. The more you gather the bigger you get, letting you eat bigger things to grow even bigger and eat even bigger, ad infinitum. It’s a gameplay hook akin to the Katamari and Feeding Frenzy games, but a unique spin all the same. There’s just something oddly satisfying about leisurely swallowing up objects, whether it’s getting that big object to tilt just right to fit perfectly in the hole, or watching a tower of small objects collapse as you take the ground out from under it. Bigger holes – The world isn’t so simple that you can swallow everything without hassle – some things take work to destroy. Throughout the game there will be various things you take in which add powers or handicaps to your hole. Consuming fire burns everything inside you and causes an updraft; taking in too much water prevents the collecting of buoyant objects. If I had one complaint it’s that these mechanics are introduced too gently, not having enough impact on the usual ‘start small, get bigger’ loop. 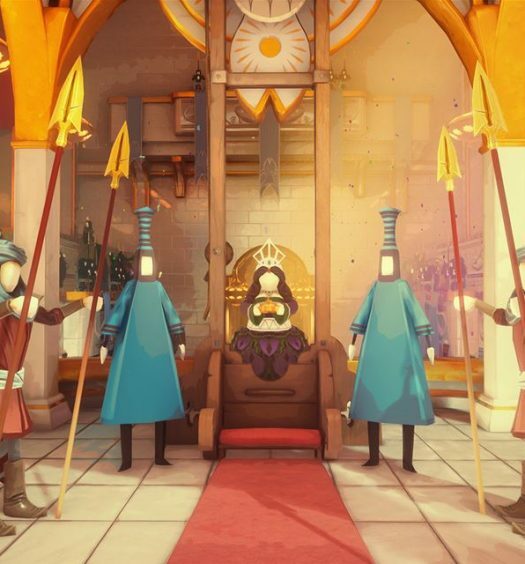 That thankfully changes in the game’s final stretch, when it trades the usual secluded levels for a long multi-screen adventure that more heavily relies on the secondary puzzle mechanics. I wish more of the game was designed like this closing salvo, but at least this way the game ends on an enjoyable high note. 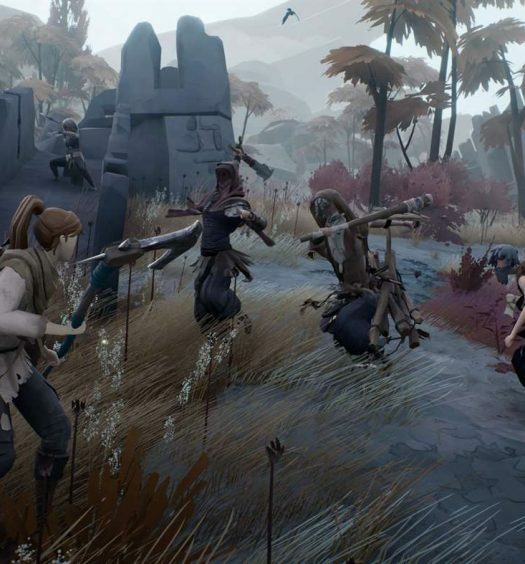 Plot holes – With the gameplay as silly as it is, it’s rather surprising it has such a strong narrative backing. The game begins with the city destroyed, its inhabitants camping out in a deep underground cavern. As they take turns recalling the events that trapped them there, it becomes a well-known secret who’s to blame for everyone’s misfortune: the raccoon BK. Everyone knows it was him, but he’d never admit it. Dialogue is filled to the brim with goofy lines and bad puns (and a bit too much internet lingo), but still manages to nail some great beats of character development. Cursors, foiled again – While the experience doesn’t suffer from playing it on console, it’s pretty obvious this was made for mobile. Controlling the hole feels fine, but some interactive scenes and all menu navigation is handled via a cursor. It’s a slightly cumbersome control method that could have been streamlined better, especially because most menus have minimal options, but at least it gets the job done. Donut County was developed by Ben Esposito and published by Annapurna Interactive. It was released December 18, 2018 for $12.99. A copy was provided for review purposes.